The Football Association of Zambia (FAZ) has condemned some sections of the media for having insinuated that the association engineered the two year ban of former FAZ president Kalusha Bwalya from all football related activities by FIFA. And in a message of solidarity with Kalusha, Lusaka province Minister Bowman Lusambo (who was speaking in his capacity as a fan) has pledged to pay the 10 000 Swiss francs that the soccer Icon has been ordered to pay within thirty days. Speaking when he addressed the media at Football House today, FAZ General Secretary Adrian Kashala said the association was happy with the turn of events because Kalusha is an Icon of Zambian football. “This bordered on name calling at the time the sanctions came in. We were told some people masterminded the ban, and on a lighter moment, I don’t know if this has been the case again to ensure that the ban is lifted. This is just a demonstration that these decisions that are made by our various judicial bodies are decisions that are independently done. So finger pointing Is not the way to go” he cautioned. He said every Zambian should thank FIFA and the people who adjudicated after Kalusha appealed the decision. “I think this is what makes everyone of us happy and we should appreciate that Mr Kalusha Bwalya has of late been very cooperative and compliant in as far as serving his ban is concerned”. Kashala pointed out that Kalusha’s ban was reduced from the initial two years to the eight months period that he has served from 28th April 2018 to 28 January 2019 with an addition of 10 000 swiss francs fine and the settling of his own legal fees. 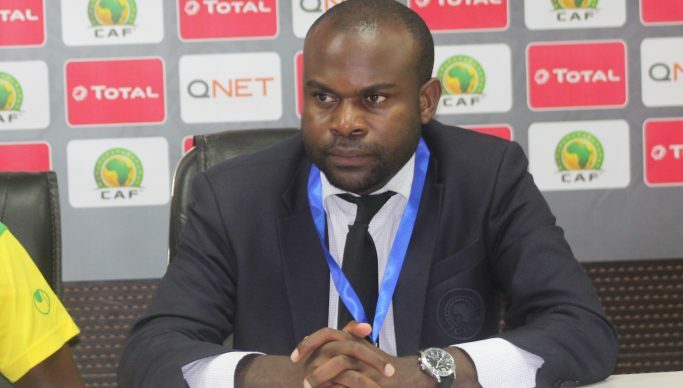 And when asked if Kalusha would now resume his CAF and FIFA committee positions Kashala cautioned that the decision was purely the prerogative of the two football bodies. “Just to elaborate on the sanctions, This does not mean that he has been cleared off completely This is a sanction that has been partially shredded off. So locally and lightly, I would say if I am convicted for assault and they reduce the sentence by one year or two years I still remain a convict. That is my basic understanding” he stated before quickly adding that he was not being prejudicial and judgmental “I think quote me correctly here because the tendency is that that will be the screaming headline tomorrow” he warned. And Lusaka province Minister Bowman Lusambo says he is happy with FIFA’s lifting of Kalusha’s ban because it ‘vindicates’ him and that he is ready to pay the penalty fine of 10 000 francs (an equivalent of K120 000) to express his happiness. He says the coming back of Kalusha into the fold means that the nation and the rest of Africa can again benefit from his unrivaled expertise in football administration. And Housing and Infrastructure Development Minister Ronald Chitotela has expressed happiness with the ruling by the FIFA appeals committee to set aside the ban. Chitotela has also offered to help Bwalya in any way to enable him put aside and must be allowed to continue enjoying the games he loves. “I join millions of Zambians in welcoming the lifting of the ban that FIFA imposed on Kalusha Bwalya. This is a big moment for Zambian football and we must celebrate it. To his detractors, let Kalusha Bwalya participate freely in the football development of our country. Like many others I offer a helping hand to support Kalusha Bwalya in anyway,” said Chitotela. Meanwhile some soccer fans across the country have expressed happiness with the lifting of the ban. A soccer fan from Lusaka David Mupika said the lifting is welcome and appealed to kalu to contest the Faz presidency again in 2020.